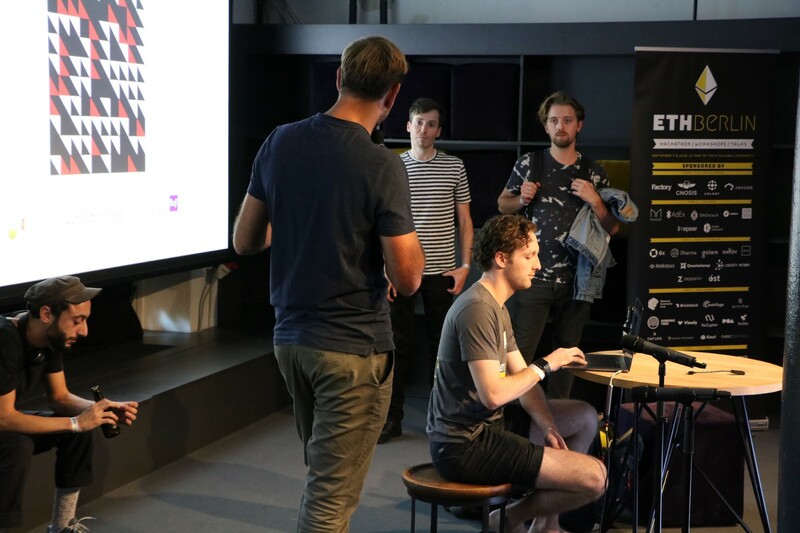 ETHBerlin has come to an end and we are all super pleased with the outcome. 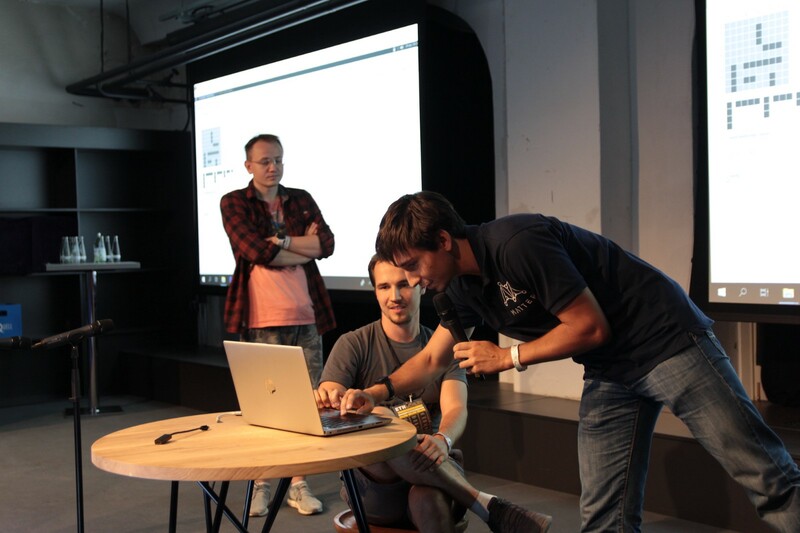 We can proudly say that our hackathon has spurned some of the most promising projects in this kind of events to date. To review by ourselves, would have been challenging. Hence, we summoned the experts. ECF came to the rescue — Grant Manager Cassandra Shi and Technical Analyst Hugh Lang took on our challenge “50-word reviews”. Gitcoin’s Scott Moore, one of the most collaborative people ever (as all the Gitcoin team, let’s face it) was the first to help out. 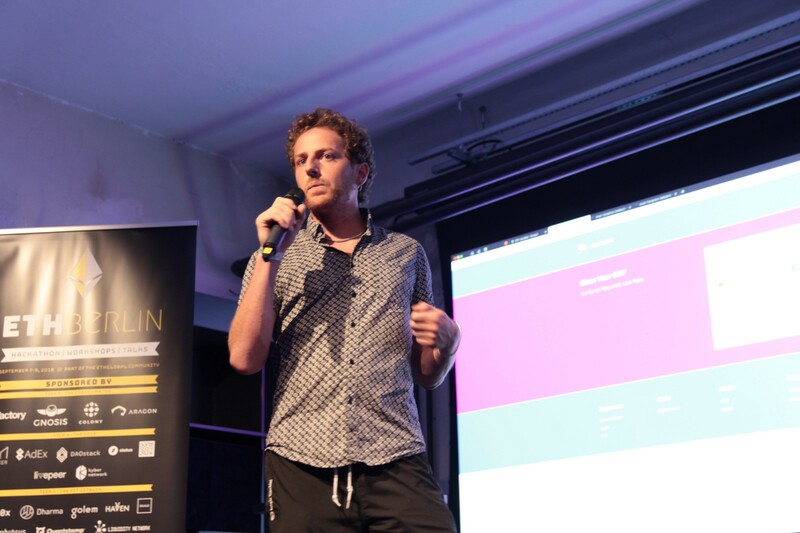 Ivo from AdEx, who has been working on the space and was an ETHBerlin sponsor, picked his favorite project as well; while Bryant Eisenbach from SecurETH did his part too. Of course one of our favorite Ethereum 2.0 implementers, Mr. Lane McShardface né Rettig (apparently he is so bullish he changed his name already) of course took on his area of choice; while Mitch Kosowski from ETHPrize took care of the rest. We would also like to thank Mitch for his collaboration as a volunteer, judge and Lederhosen master through the event. Good Badger is a system for rewarding people with badges for their unique contributions towards UN’s Sustainable Development Goals (SDGs). Each badge is an NFT ERC-721 token awarded to a person (encoded with the details of their contribution) and displayed in their mobile wallet app. ENS enables human-readable domain names mapped to Ethereum addresses. And the MyENS Wallet app for iPhone lets you bid on and purchase ENS names and manage your ENS domains. Someday, everything will have an ENS address and this helps envision that future. Built with Web3Swift and Infura. A Collateralized Debt Position (CDP) is an ETH lockup mechanism by which DAI is created. In extreme liquidity scenarios, some users will need a convenient way to exit risky positions. This project is a cool experiment to let a user send their at-risk CDPs to a contract to pay off debts and return remaining collateral to the user. 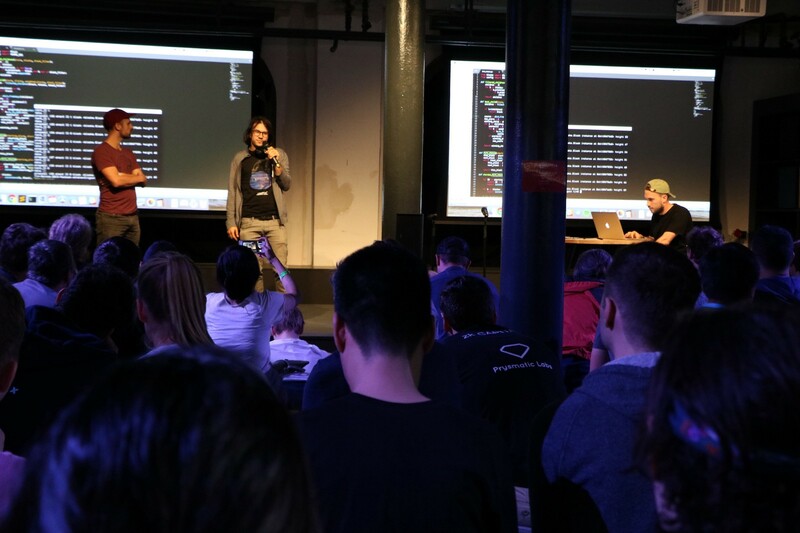 Team Sputnik is pushing the limits of private smart contracts by creating an assembly language and interpreter that performs arbitrary computations and circuits on encrypted data via Fully Homomorphic Encryption. This performs the computations on the GPU for speed and performance, then commits a merkle root of the entire computation for proof of logic flow to the blockchain via Vyper smart contract. Pinata Overlay is a system consisting of a smart contract and IPFS oracles that allows for decentralized funding of IPFS storage. The smart contract overlay allows dApp companies to have access to and utilize decentralized IPFS nodes without the need to build and host their own IPFS infrastructure. Pinata Overlay is built using Solidity for the funding smart contracts along with an IPFS oracle that watches smart contracts that desire storage. Game of Snarks is a super cool demonstration of zkSNARKs and in fact one of the best applications to help regular users understand their power since the functionality was introduced to Ethereum in Byzantium. In short, Alex Vlasov came up with the idea to implement a game of “Battleship” (where each player has to guess the location of the other player’s ships on their respective grids) and used zkSNARKs to reveal whether a ship has been hit without fully revealing the state of the opposing player’s board. Realizing that it would be hard to manage all of the state of the game on chain, Alex and his team also started work towards a “plasmafied” version of the game where a fraud-proof exists if the Plasma operator doesn’t update the state of the game (whether a battleship has been hit) properly. A very useful solidity library for verifying signatures made by the Estonian Digital-ID card. 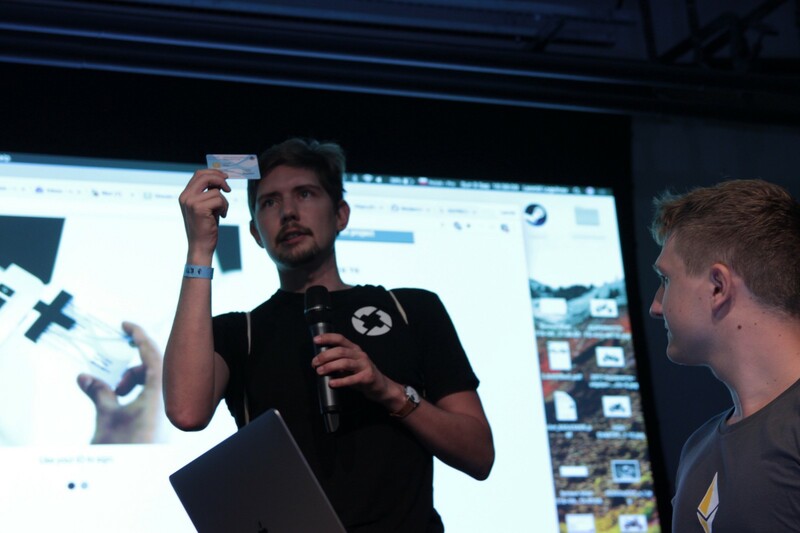 By allowing us to identify with our government-issued ID, it has the potential to change how we identify ourselves on the Ethereum network. It’s also an incredibly robust and trustworthy KYC mechanism. 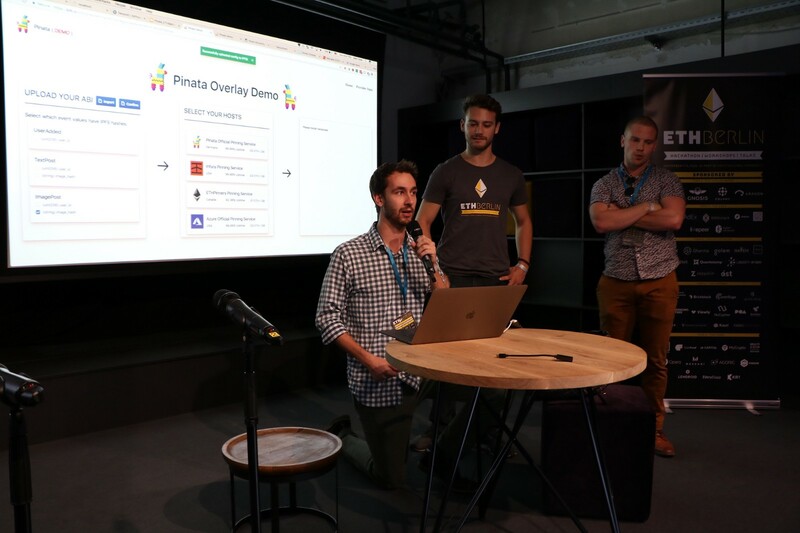 I’m impressed by how this team managed to implement all the elliptic curve cryptography (Secp384r1) in the span of the hackathon, looking forward to see how this project will be developed and utilized! While Casper FFG (the “friendly finality gadget,” a.k.a. Vitalik’s casper, which provides finality on top of the existing proof-of-work-based system) is the primary proof of concept candidate in the Shasper “Ethereum 2.0” roadmap, Vlad has been diligently at work for some time on his own Casper workstream, titled Casper CBC (“correct by construction”), which entirely replaces proof of work with a new, provably correct block proposal and fork choice scheme. Until now, that work has been largely theoretical and has consisted primarily of equations and diagrams (see the whitepaper, released last year). So it’s really exciting to see the rubber hit the road and to see some of these ideas be proven out in actual, running code, which is a lot easier for most developers to digest! Görli is a Proof of Authority testnet that can support popular Ethereum clients such as Parity and Geth. Görli bridges the isolation between clients due to using the PoA consensus mechanism. The team managed to have the testnet implemented in Parity and with the Aura PoA consensus work initiated in Geth. 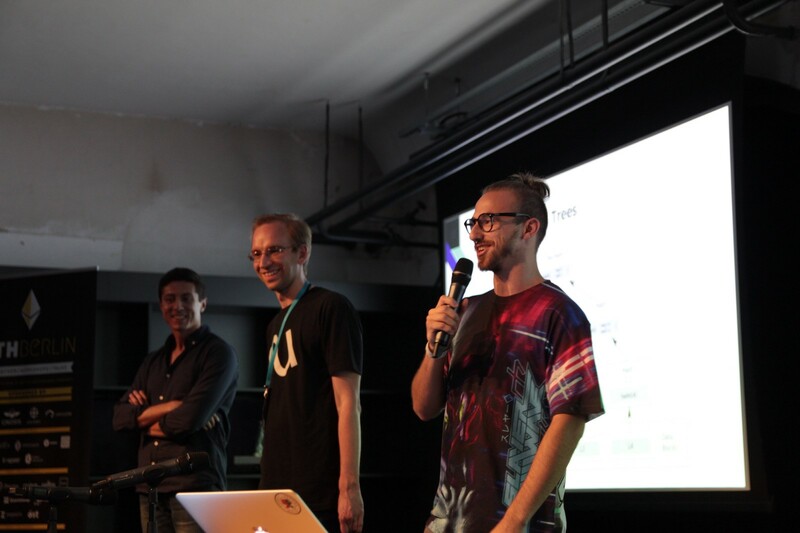 You can check it out here.The end of the hackathon is only the beginning of the team’s journey of creating one PoA testnet for all clients: after ETHBerlin the team plans to solidify their current Go implementation of Aura in Geth, launch the first cross client PoA testnet for the Ethereum network and begin work on implementing Clique (Geth’s PoA mechanism) in Parity to allow for two cross-client PoA testnets. Lane’s note: The current Ethereum testnet landscape is messy (read more on it from project lead Afri here, including more on the Görli project and its motivation). Proof of work doesn’t make much sense for a testnet since the tokens you’re mining have no value, so miners have no real incentive to secure the network, opening it up to attacks. The existing proof of work testnet, Ropsten, has come under attack and has been continually plagued by stability issues. Proof of authority makes more sense but, until now, there has been no way to build a POA testnet including the two major clients, Parity and Geth, since they don’t use the same POA protocol. Görli solves that problem so it’s a very exciting development, but there’s still a lot of work to be done! The hours before submission were the most nerve-wracking ones. From the start, we were determined that this hackathon would be measured by the projects spurning from it. We were more than pleasantly surprised — the work these hackers did, is simply incredible. We are beyond words and for your hard work and hope you guys managed to get some sleep.